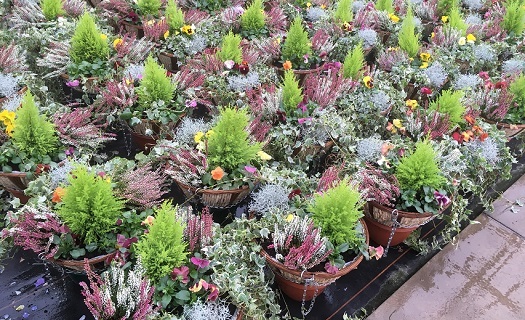 Hanging Baskets for Pubs and Business Premises..
Serviced Hanging Basket Displays for Commercial Premises..
Are you a Pub, Hotel, Offices or other Commercial Premises looking for serviced “Put up and take Down” plant displays? Whilst we don’t offer this service ourselves we work very closely with a local company that offers this service throughout most of England. For maximum benefit they also offer a service to supply and fit a computerised irrigation system to supply water at regular intervals. This maximises longevity of planting and remove the hassle of manual watering if difficult positions. Contact Us for more information and we’ll pass on your query.